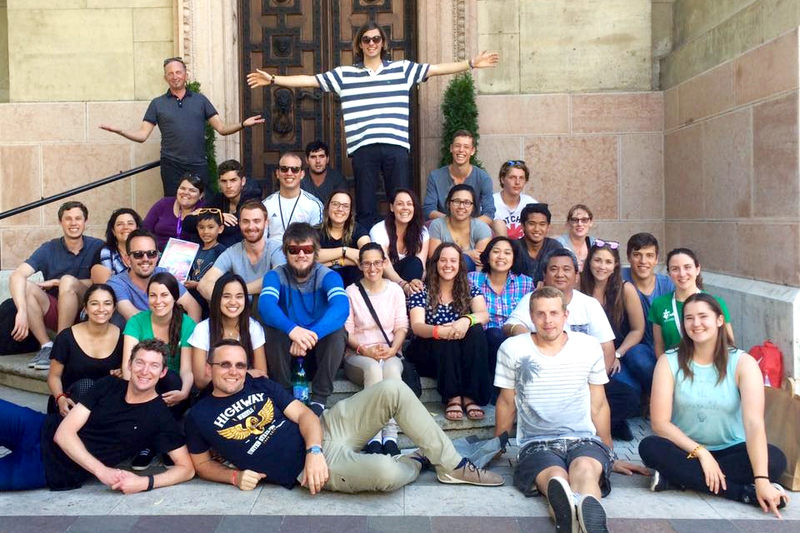 Among the many young Australians who travelled to Poland for this year’s World Youth Day was a group from the Society of the Divine Saviour – also known as Salvatorians – who travelled to several holy sites in Greece before joining their fellow pilgrims in Krakow. Perth’s Tomas Kenny-Simpson was one of 32 Salvatorian pilgrims who journeyed to Athens and the Greek Islands to walk in the footsteps of Saint Paul as part of his WYD experience, and he affirmed that it was life-changing. “We prepared for months – some of us years – but I think none of us knew just quite what to expect… or how important this journey would become for us,” Mr Kenny-Simpson told The eRecord. “On Patmos beside the Cave of St John (where Revelation was written) we celebrated Mass under the branches of a tree looking out into the most beautiful Cathedral I have ever seen: God’s Cathedral of nature. Soon after, the pilgrims travelled to the town of Bagno in Poland, where they spent three days in fellowship with other members of the Salvatorian order. “We met with a thousand or so Salvatorian youth from around the world, competing in a Salvatorian mini Olympics, celebrating Mass, listening to the Polish Salvatorian Superior General speak and continuing to exchange dance routines with the seminarians,” Mr Kenny-Simpson said. “And it was here that a young seminarian ЕВГЕНИЙ (pronounced Jenya) taught us the dance ‘Such a Happy Day’, which caught on like wildfire. He added that one important aspect of his experience living in Bagno was his devotion to the Chaplet of Divine Mercy, particularly when he ventured out with a friend to a shrine of Our Lady of Lourdes to pray. Moving on to Krakow – the host city for WYD – Mr Kenny-Simpson said people’s enthusiasm for the arrival of Pope Francis was infectious. “In Krakow, the streets were filled with the chants of ‘Papa Francesco!’ and ‘Esta es la juventud del Papa!’” he said. He added that an adoration of the Blessed Sacrament was another highlight.